The well-known Hanukkah symbol has Christmastime roots. 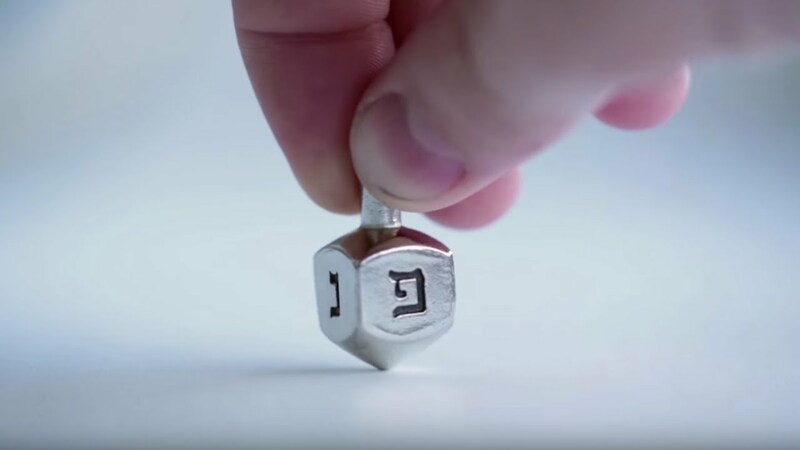 One 19th-century rabbi maintained that Jews played with the dreidel in order to fool the Greeks if they were caught studying Torah, which had been outlawed. Others figured out elaborate gematriot [numerological explanations based on the fact that every Hebrew letter has a numerical equivalent] and word plays for the letters nun, gimmel, hey, shin. For example, nun, gimmel, hey, shin in gematria equals 358, which is also the numerical equivalent of mashiach or Messiah! Finally, the letters nun, gimmel, hey, shin are supposed to represent the four kingdoms that tried to destroy us [in ancient times]: N = Nebuchadnetzar = Babylon; H = Haman = Persia = Madai; G = Gog = Greece; and S = Seir = Rome. As a matter of fact, all of these elaborate explanations were invented after the fact. The dreidel game originally had nothing to do with Hanukkah; it has been played by various people in various languages for many centuries. In England and Ireland there is a game called totum or teetotum that is especially popular at Christmastime. In English, this game is first mentioned as “totum” ca. 1500-1520. The name comes from the Latin “totum,” which means “all.” By 1720, the game was called T- totum or teetotum, and by 1801 the four letters already represented four words in English: T = Take all; H = Half; P = Put down; and N = Nothing. Our Eastern European game of dreidel (including the letters nun, gimmel, hey, shin) is directly based on the German equivalent of the totum game: N = Nichts = nothing; G = Ganz = all; H = Halb = half; and S = Stell ein = put in. 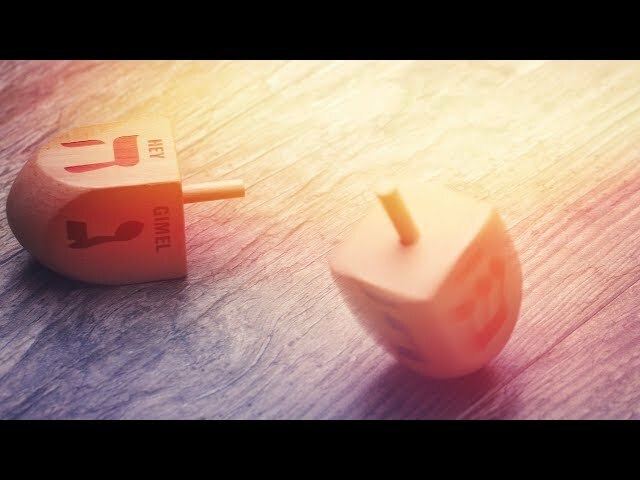 In German, the spinning top was called a “torrel” or “trundl,” and in Yiddish it was called a “dreidel,” a “fargl,” a “varfl” [= something thrown], “shtel ein” [= put in], and “gor, gorin” [= all]. Thus the dreidel game represents an irony of Jewish history. In order to celebrate the holiday of Hanukkah, which celebrates our victory over cultural assimilation, we play the dreidel game, which is an excellent example of cultural assimilation! Of course, there is a world of difference between imitating non-Jewish games and worshiping idols, but the irony remains nonetheless. Reprinted with permission of the author from A Different Light: The Hanukkah Book of Celebration published by the Shalom Hartman Institute and Devora Publishing.